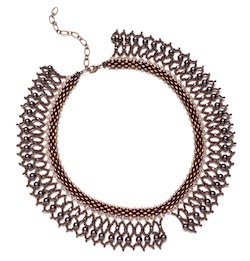 Timeless lace collar By Svetlana Chernitsky - Work in netting to embellish a necklace of SuperDuos with crystals and pearls, leaving a delicate opening at the front. 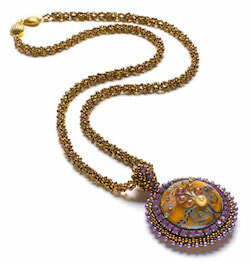 Vintage vogue By Jane Danley Cruz - Create a pendant using the Bead&Button 20th anniversary focal, cup chain, and bead embroidery, and then suspend it from a Russian spiral necklace. Fanciful flowercup braid By Kerrie Slade - Incorporate Flowercup beads into an eight-strand kumihimo braided necklace and matching bracelet. 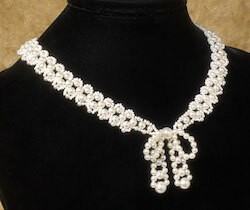 Pearls & bows By Jane Danley Cruz - Stitch several sizes of pearls into a necklace of modified right-angle weave with a beaded bow at the center. 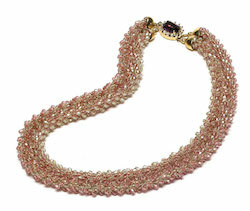 Herringbone flair By Eleanna Zegkinoglou - Recreate the asymmetrical drops of the negligee-style necklace using a herringbone stitch, pearls, and crystals. 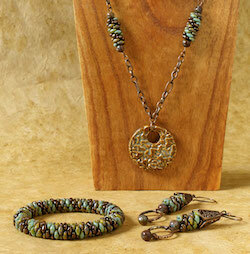 Super spiral set By Michelle McEnroe - Use bead weaving to bring together three colors of SuperDuo beads in a spiraling bangle with necklace and earrings. 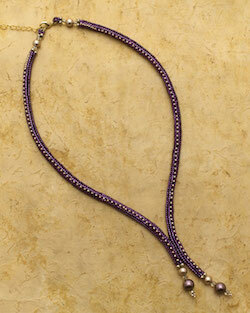 Edgy elegance By Judy Henegar - Add an edging of cup chain and seed beads to a simple peyote stitch bracelet. 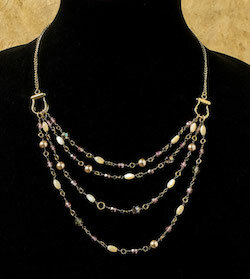 4-in-1 necklace By Julia Gerlach - Use basic wirework to make a long beaded strand that can be draped four ways. 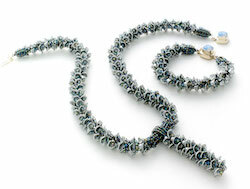 Bead crochet Sonoko's way By Sonoko Nozue, Jane Danley Cruz - Sonoko Nozue is one of the most well-known international beaders with a following of dedicated students and admirers that circles the globe. 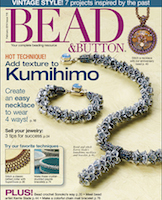 Learn two methods for bead crochet. 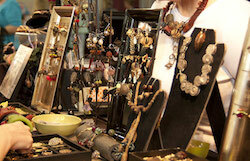 The Business of Beading/Evaluating Your Jewelry By Leslie Rogalski - So you want to sell your jewelry…See if your jewelry can pass three tests before going public with your wares. Crystal corona bracelet By Sandie Bachand - Surround crystal stones with stitched rings of Twin beads, pearls, and "squaredelles." 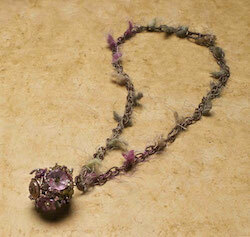 Vintage blooms By Amelia Brock - Cover a channeled metal pendant in peyote stitch with Lucite flowers and fringe. 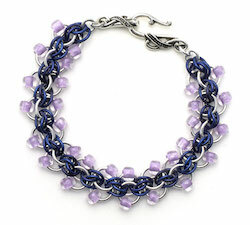 Lorelei links By Amy Leggett - Work a chain mail bracelet in a new weave using two colors of jump rings plus seed beads. а также много другой интересной информации!